Aveluk (Rumex crispus) -or- wild sorrel is indigenous to certain regions of Armenia. 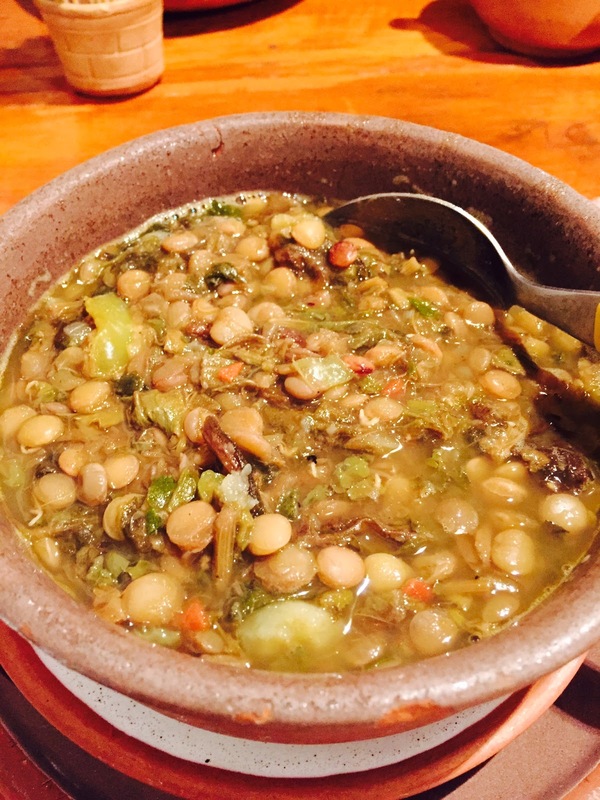 It's popular in authentic Armenian cuisine – especially in restaurants which serve aveluk soup or salad as ‘exotic’ fare to outsiders - like me! According to Sonia Tashjian, my friend and personal tour guide in Armenia, villagers gather aveluk in the spring – its peak season. 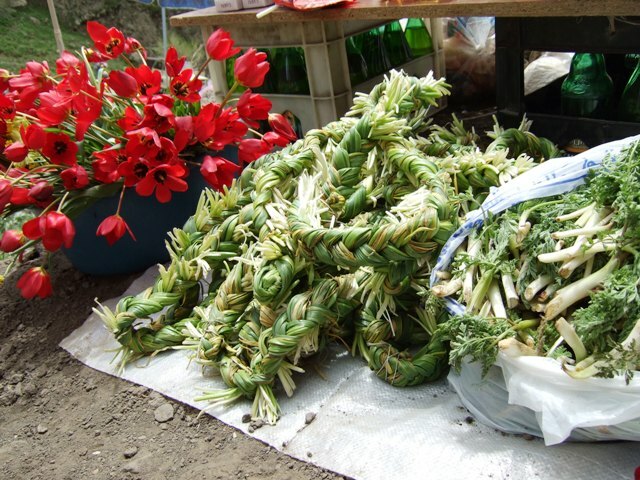 It is then braided and sold either in the fresh or dried form. To dry aveluk, villagers hang the braids from the roof in a shadowy, windy place, until it is dry. Dried aveluk keeps well and is used in recipes throughout the year. 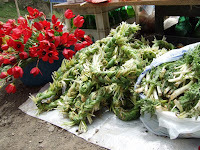 Armenia’s aveluk is unique in that it isn’t as sour as sorrel which grows wild throughout Asia, Europe and North America. Sorrel’s flavor has a natural acidic sourness due to oxalic acid. As sorrel matures, the flavor becomes even more sour. If you can’t find aveluk or sorrel, a suitable substitute would be spinach combined with a touch of lemon juice. In the US, we’re not likely to find aveluk, but might find sorrel at a farmer’s market. Some specialty shops might sell cooked sorrel in jars or cans. If you’re really lucky, you might find dried, braided aveluk in a well-stocked Middle Eastern store. Place the dried aveluk in a large bowl of hot water. Let it sit for several minutes. Drain the water. Do this procedure two more times. 2. Next, add the pre-soaked & drained aveluk, the dried plum pieces, and the red and black pepper. 3. 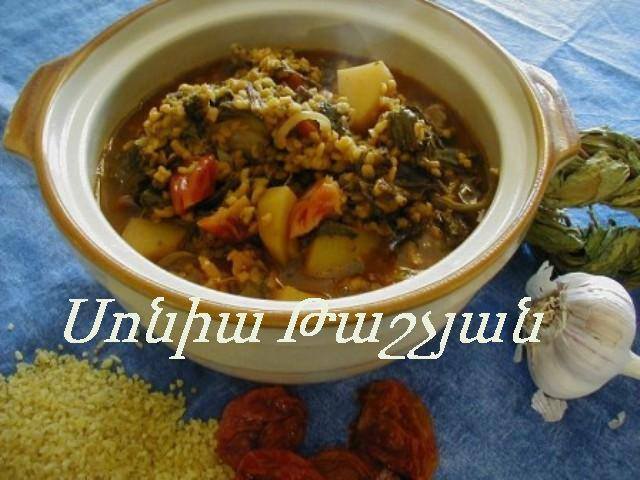 Cook until the potatoes and bulgur are soft. (NOTE: The starch from the potato helps make the soup creamy. If you wish, you may add 2 Tbsp. flour or lavash pieces to the soup at this point, if desired.) Add the additional 2 cups of water if soup is becoming too thick. Just before the soup is done cooking, add the garlic and the coriander. Remove from heat. Serve with sour cream, if desired. 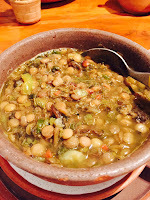 Sonia notes that in different regions of Armenia there are many variations of aveluk soup. For example, some places add tomato paste; some do not add potato. Some use lentils instead of bulgur. Some add chopped walnuts to the soup, while others only use walnuts in Aveluk Salad. Another variation: some fry the onion separately and mix it into the soup, but the busy cook would add all of the ingredients to the soup and cook it slowly. If you get the dried aveluk, be sure to change the water as you suggested, because it helps to get rid of the bitterness. Also, the stems can be tough so be sure to chop them finely before putting into the soup (or just cut them out entirely). The aveluk will take a while to cook, so you may want to put the aveluk first, then adding the rest of the ingredients after 15-20 minutes. I found that the starch from the potato was plenty and did not need the flour at all. One variation of the recipe suggests dicing the potato into large and small cubes. Halfway through cooking, you take out the large cubes and mash them, putting them back into the soup. I did not need to do that, but you may, depending on the variety of potato that you use (I used white potatoes). Finally, a lot of flavor is imparted by the plums. I strongly recommend chopping them up finely and putting them in a little boiling water to pre-soften them and helping the flavor to get into the soup. Or, if you "pre-boil" the aveluk, then add the plums at that time. Note that the flavor of this soup is very light. There is not a whole lot of umami going on here. If you don't like that, then substitute broth for the water or add some tomato paste. In a recent experiment, I found that tomato paste has amazing umami. All excellent points, Ara, thank you!